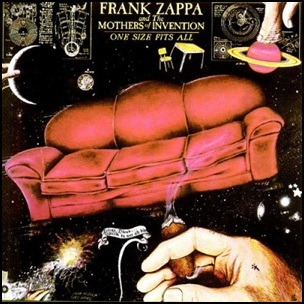 On June 25, 1975, “DiscReat” label released “One size fits all” , the tenth and the final Frank Zappa and the Mothers of Invention album. It was recorded August 1974 – April 1975, at “Record Plant Studios” and “Paramount Studios” in Los Angeles, “Caribou Ranch” in Nederland, CO, and was produced by Frank Zappa. One of Zappa’s music heroes, Johnny “Guitar” Watson, guests on two tracks.